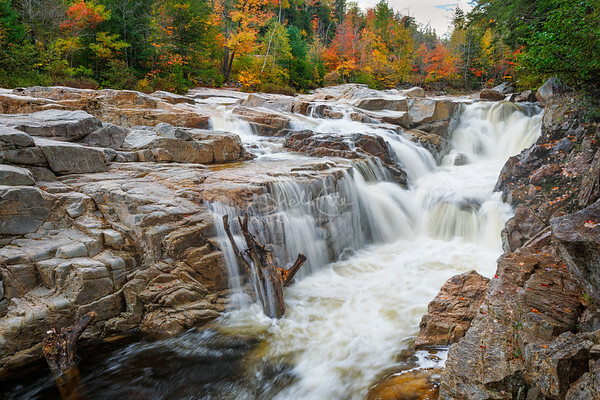 There are numerous rivers and brooks that wind through New England offering all types of cascading waterfalls. 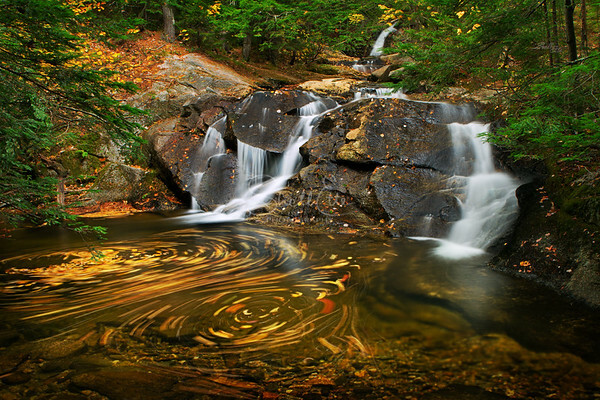 The flow of them changes due to the seasons changing. After the snow thaws they tend to run full and fast, but in the summer or autumn months they can flow slowly allowing a silky look to them. 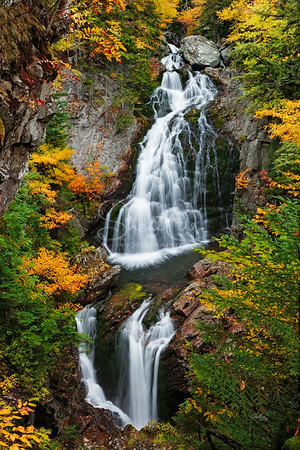 This hidden gem of a waterfall is a 100 ft tall and can be seen if you hike up the Tuckerman Ravine Trail that climbs Mt Washington, in Pinkham Notch of the NH White Mountains. I say hidden, because it sits deep in a ravine and has one view point. 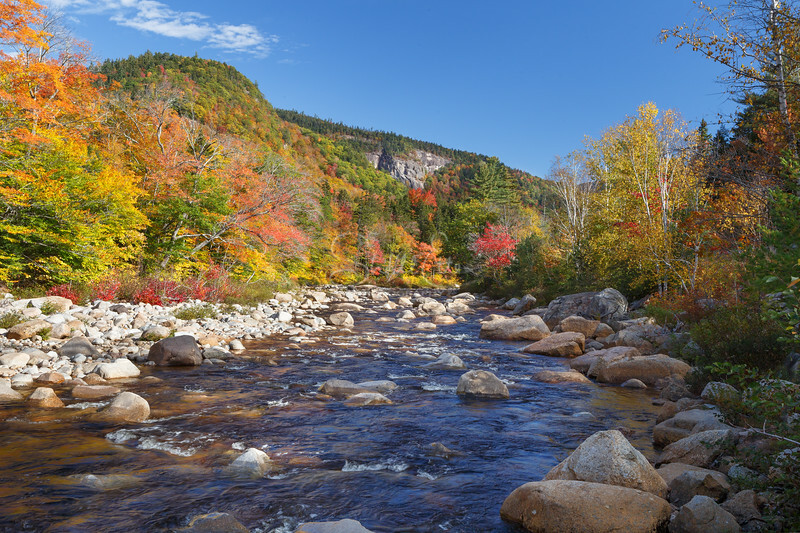 In 2016 NH had very little snow in the winter season and minimal rainfall in the summer which decreased the water flow for many rivers and lakes. Sometimes a low flow of water is more interesting since I think it shows the character of the of the waterfall. 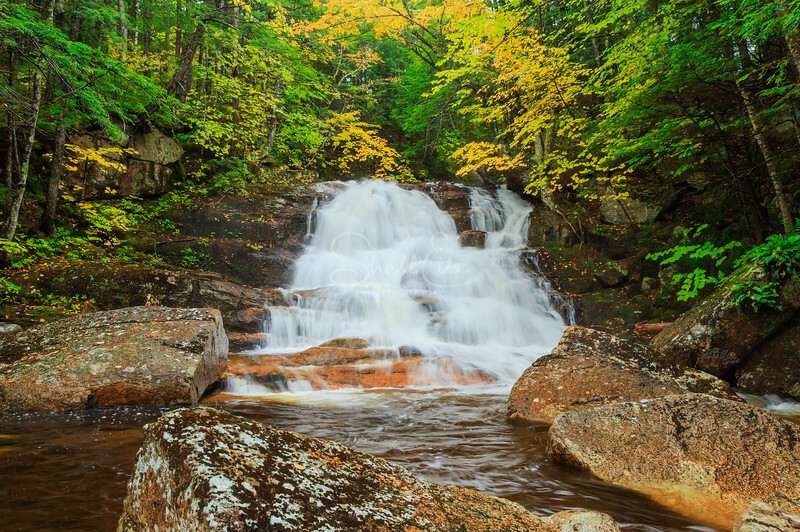 This is the top half of a 100 ft waterfall that is hidden deep in a ravine and can be seen by taking a detour off of the Tuckerman Ravine Trail that climbs Mt Washington, in Pinkham Notch of the NH White Mountains. 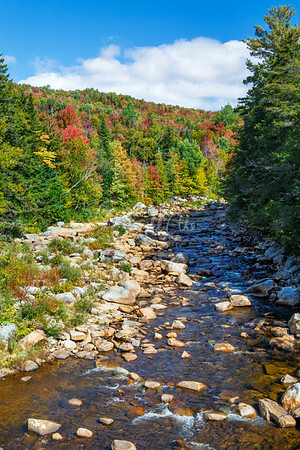 In 2016 NH had very little snow in the winter season and minimal rainfall in the summer which decreased the water flow for many rivers and lakes. Sometimes a low flow of water is more interesting since I think it shows the character of the of the waterfall. 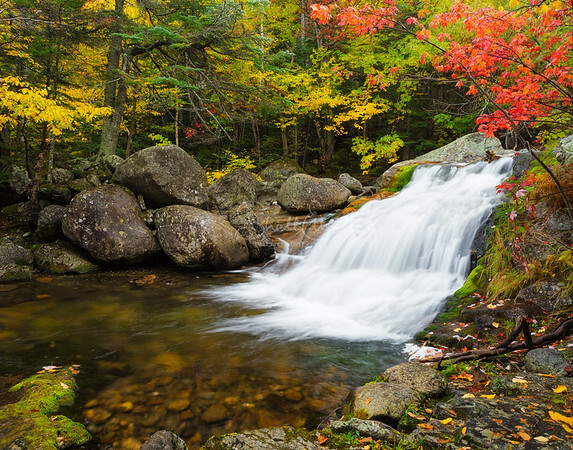 This waterfall is deep in the woods on Hobbs Brook in Albany, NH. It does't get many visitors since there isn't a trail along side this brook. There are 2 ways to get here,. 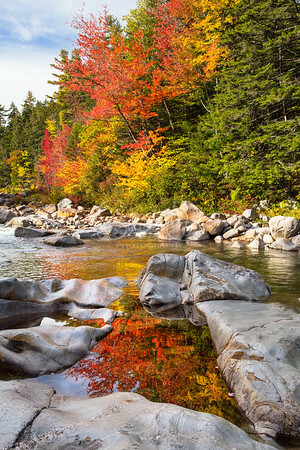 Bushwhack from the Kancamagus Highwy which will also take you by Clamshell Rock, or walk up the logging road that is near the brook. 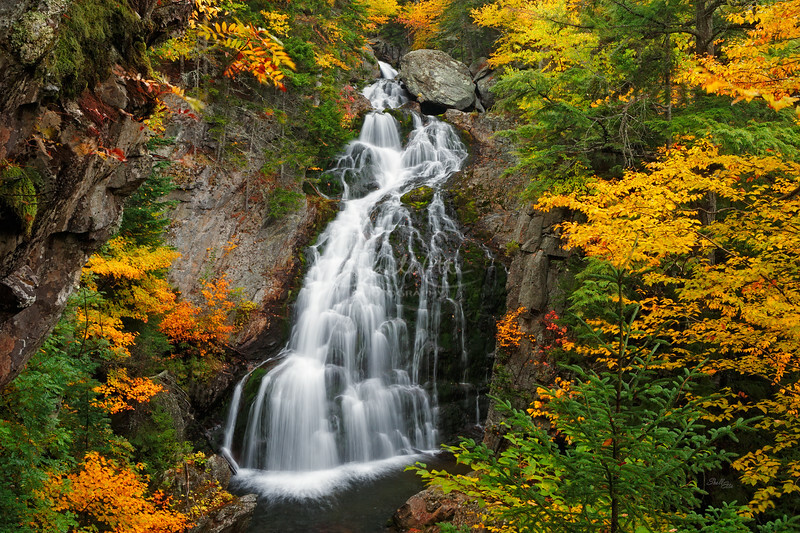 The logging road will take you up above the falls, then you have to cross the brook to reach the picturesque side. 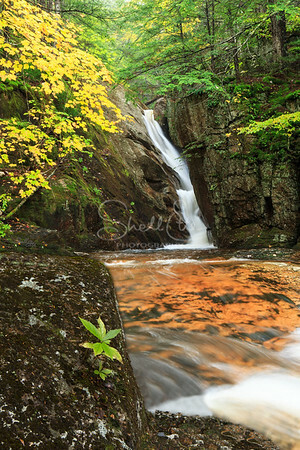 This waterfall is deep in the woods on Hobbs Brook which is on the Kancamagus Highway in Albany, NH. It doesn't get many visitors since there isn't a trail that runs beside the brook. 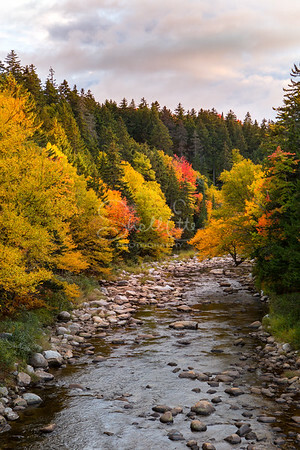 A logging road near here will take you up above the falls but you have to cross the brook to reach the other side for the best photo opportunities.